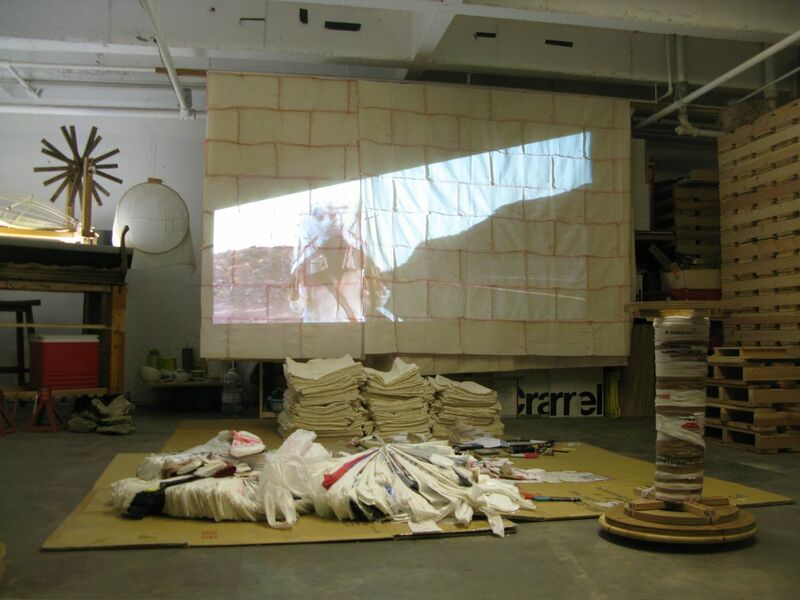 For the 2011 California Community Foundation Irvine Fellowship, multi-disciplinary artist Nuttaphol Ma creates a self-imposed sweatshop located at the basement of an art gallery on Chung King Road, Chinatown. With a time clock purchased from his current “day job”, Ma clocks in and clocks out his time. Recycled plastic bags from markets, discarded packaging materials, food packaging consume the space. The premiere broadcast on Saturday 1st October at 1030pm (PST) commences Ma’s undertaking. Within the space, Ma set forth to deconstruct the materials and repurpose them at the outpost for their eventual re-use as the core building materials of his ancestral house. Participants are invited to follow Ma’s tweets @thechinaoutpost as he clocks in and clocks out his time. Schedule of weekly broadcasts is listed via The China Outpost Ustream Channel. This project was made possible by the generous support from The California Community Foundation.